Silicon Valley is a geeky show, but it’s not just for geeks. What makes Silicon Valley so compelling is that it isn’t just a show that aims for laugh-out-loud comedy, but also provides both satire and insight into the whole startup craze that’s been happening over the past decade in the real Silicon Valley. The problem is, while Silicon Valley makes HBO Now worth the money The 15 Best HBO Shows That Make HBO NOW Worth the Money The 15 Best HBO Shows That Make HBO NOW Worth the Money With HBO NOW, you can watch HBO even without cable TV. Here are the best HBO shows that make HBO NOW worth the price of admission. Read More , there aren’t many other shows on HBO that can scratch the Silicon Valley itch once you’re caught up. You might enjoy Veep, Curb Your Enthusiasm, and maybe even Hello Ladies, but that’s about it. However, if you have Netflix, you have options. Note that none of these shows are exactly the same in tone or subject matter — they’re just similar enough that you’ll probably enjoy them for many of the same reasons. And just as Silicon Valley makes HBO worthwhile, these shows absolutely make Netflix worth every penny Why You Should Be Happy to Pay More for Netflix Why You Should Be Happy to Pay More for Netflix Every time Netflix increases its prices, millions of binge-watching users balk at the prospect of paying a couple of dollars more. But this is dumb, because Netflix is an absolute steal. Read More . The IT Crowd is about as close as it gets if you’re just looking for a comedy show about techy geeks — except the geeks in this show aren’t exactly the sharpest tools in the box. There’s also a world of difference between those who work in IT and those who are part of the Silicon Valley culture. That being said, The IT Crowd is funny for a lot of the same reasons: well-developed characters, interesting situations, and a glimpse into a world not often seen on television. You don’t have to be an IT geek to enjoy this show — and you might learn a few things along the way regarding the folks in your company’s own IT department. Or perhaps not. Arrested Development has nothing to do with the tech industry, but it features a lot of the same undercurrents that make Silicon Valley hilarious. In short, Arrested Development is a clever comedy about a family of wealthy narcissists who can’t help but get in each other’s way. I truly believe that this is one of the best shows in TV history, and there aren’t many other shows I’d confidently describe in that way. It’s extremely layered — you can rewatch it 10 times and still catch gags that you hadn’t noticed before. But the greatest things about this show is its incredible cast, strongly-written characters, and amazing punchlines. Don’t be put off by that fact Archer is an animated show. It’s the farthest thing from Family Guy or The Simpsons, which are typically the kind of show that comes to mind when you hear the phrase “animated but not a cartoon.” Archer is one of the best animated shows for adults 10 Animated Shows for Adults to Watch on Netflix 10 Animated Shows for Adults to Watch on Netflix You really should watch these awesome animated shows for adults on Netflix. They're funny, anarchic, and often more thought-provoking than serious dramas. Read More , period. You could think of it as Silicon Valley meets James Bond: it centers on a group of competent people who work together as part of a spy agency, but they’re all jerks who come as close as one can to hating each other without actually hating one another. It’s crude, obnoxious, and hilarious. Halt and Catch Fire is the only show on this list that isn’t a comedy. It doesn’t even come close to generating laughs, so don’t expect any. Why is it included then? Because Halt and Catch Fire is kind of what you’d get if you took Silicon Valley and planted it firmly in the drama/suspense genre. The show is a fictionalized story that shows an insider’s perspective of the PC revolution that happened in the 1980s and the internet revolution of the 1990s. If the techy side of Silicon Valley is what interests you, then you’ll probably enjoy this show quite a bit. Master of None is a shining example of what Netflix can accomplish when the company hits it out of the park, and is one of the reasons why we’re excited for Netflix’s upcoming original series 15 New Netflix Originals You'll Be Watching in 2017 15 New Netflix Originals You'll Be Watching in 2017 Netflix is now producing its own original content. And some of the new Netflix Originals set to debut in 2017 definitely look like they'll be worth watching. Read More . The thing is, Master of None doesn’t fit neatly into any one genre. As such, it’s quite a unique show. Yes, there are elements of comedy and drama and at times even mystery, but it isn’t a full-blown comedy or drama or anything else. It’s essentially a slice-of-life series that has nothing to do with geeks or tech — but even so, we think you’ll like it because it’s a mature show with a lot of tonal similarities to Silicon Valley. Futurama is one of the most recommendable shows on the planet. If you’ve never watched an episode of this highly-acclaimed series, then I’m truly envious of you. There’s no way to describe the experience of watching Futurama start to finish for the first time except to say that you’ll love it. Like Arrested Development, Futurama is extremely layered in its comedy. There’s the character-driven humor that anyone can enjoy, but there’s a deeper humor that you’ll only catch if you’re a certified geek, which you probably are if you like Silicon Valley. And that’s not to mention the show’s attention to detail and continuity across seasons, making it extremely rewarding for repeat viewers. Better Off Ted is a workplace sitcom that ramps up the aspect of absurdity to another level. The situations are silly, the characters are borderline caricatures, and everything about this show is, in a word, wacky. It’s wholly unique and unlike any other series I’ve seen. But it’s also absurdly witty and funny, and if you enjoy shows like Arrested Development then you’ll feel right at home here. It was cancelled after two seasons, which is a shame because critics agree that the second season was a vast improvement over the first. Bottom line: if you like Silicon Valley, then you like smart humor, in which case you’ll like Better Off Ted. A word of warning: the humor in It’s Always Sunny in Philadelphia is incredibly dark, even offensive at times. It takes a certain kind of person to “get” this show — but if you’re that kind of person, then precious few shows are as gut-bustingly funny as this one. It’s basically a more crass version of Seinfeld. I recommend this show if you like the crude elements of Silicon Valley and want to see more of that. But here’s what you should know before watching it: the characters in Always Sunny are purposely written as unlikable. It just so happens that they’re so unlikable as to be hilarious. This is what you have to “get” to enjoy watching it, and once you do, boy, is it entertaining. If you don’t have Netflix and you’re still on the fence, or if you do have it and you’re looking for even more shows to watch, consider these must-watch Netflix Originals 7 Awesome Netflix Originals You Should Watch ASAP 7 Awesome Netflix Originals You Should Watch ASAP Despite only producing its own content for a short period of time, Netflix has created some fantastic original shows. Here are seven Netflix Originals we recommend you watch as soon as possible. Read More . Beyond that, you may also be interested in these shows similar to Stranger Things as well as these shows similar to Black Mirror. Note that Netflix isn’t your only option for Silicon Valley-esque alternatives. 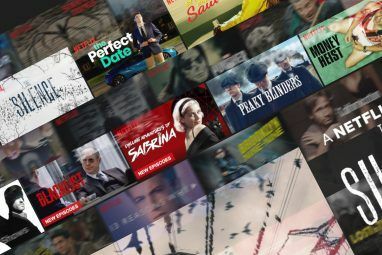 If you already have Amazon Prime, you can tune into Prime Video for free and watch shows like Betas along with other high-quality Prime Video exclusives 12 TV Shows You Can Only Stream on Amazon Prime 12 TV Shows You Can Only Stream on Amazon Prime As an Amazon Prime member, an ungodly number of TV shows wait to be watched. In this article we recommend TV shows which are only available to stream on Amazon Prime. Read More . What’s your favorite thing about Silicon Valley? Which shows would you recommend for fans, whether available on Netflix or elsewhere? Please share your recommendations with us in the comments below! 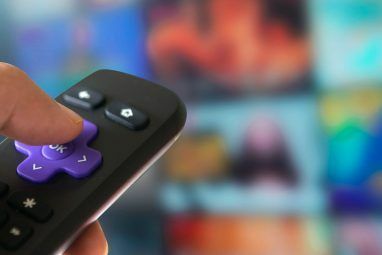 Explore more about: Media Streaming, Netflix, Online Video, Television. It's nice to see Better off Ted get some love... Nice list! Thank you so much for this list. Silicon Valley and Futurama are some of my all time favorites, so I will check out the rest of the list. I love It's Always Sunny. The moral depravity and extreme misanthropy exhibited by the gang is freaking hilarious! Yes! It took me a while to "get" the show, but once it clicked, it's been such a ride. There's no other show quite like it.